Fast food restaurants are everywhere. It's hard to drive down a street without seeing one. In addition, many people have busy lives with long work schedules, long commutes and a busy home life. It's no wonder that 1 in 4 Americans eats fast food everyday. If you need to stop by a fast food restaurant to get a quick meal, there are some ways to make better choices. Incorporating a few healthy eating tips can help you choose more nutritious and lower calorie items at your favorite fast food restaurant. A very easy trick to start implementing when you're ordering fast food is going for a kid-sized meal. These mini meals are an easy way to stick to smaller portions and fewer calories. Choosing a kids-sized meal can save you 200-300 calories. And you're not missing out on the "good stuff." Most kids meals still come with similar products to the standard menu options. In addition many fast food restaurants offer a side or small piece of fruit. Choose small sandwiches as well. Ordering a "double hamburger" or even a "triple burger" will have 2 or 3 times as many calories as a single patty burger. Also skip the option to super-size your meal or make it a "large". Even though it seems like a great deal, you're just adding more calories and fat to your overall meal. Many fast food restaurants are now offering many more foods outside the typical burger and fries. Salads are a newer choice that may offer you a little extra nutrition and save you some calories. 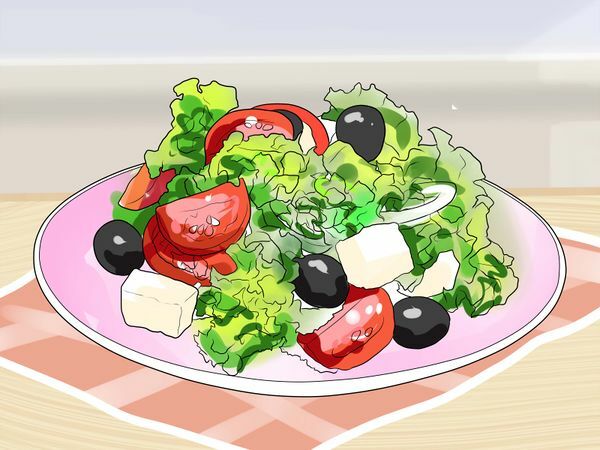 Salads are a great choice because you're including a serving or two of vegetables which are naturally low in calories. Do watch out for high calorie toppings and dressings. Items like bacon bits, cheese, croutons or fried protein (like fried chicken) can really put the calories over the top. Read nutrition labels (if available) to help you identify if a salad will be a healthier option or not. Choose salads with grilled protein, low-fat dressing on the side, and a lot of fresh vegetables. 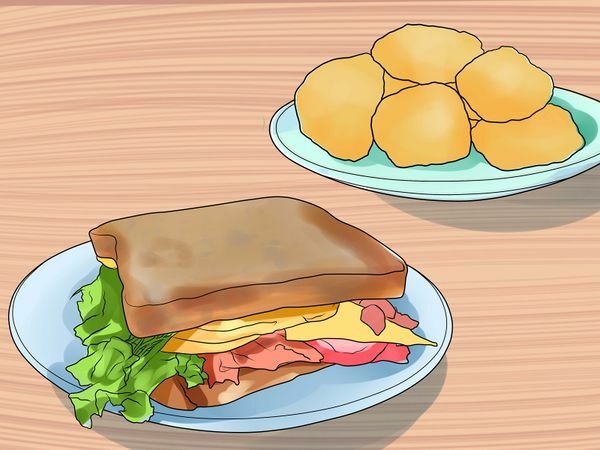 Sandwiches and nuggets are a popular option at fast food restaurants. Choose the best option to keep your calories moderate. Try out a snack wrap. Many restaurants now offer small wraps with a piece of grilled chicken inside. They're low in calorie (about 300 calories) and small which is perfect for portion control. Most fast food restaurants offer chicken nuggets. A 4 or 6 piece order is actually somewhat low in calories - about 200 calories. In addition, some restaurants offer grilled nuggets for an even lower calorie count. Stick to a plain hamburger or cheeseburger. When you don't have multiple patties or toppings, these sandwiches are actually moderately low in calories - right around 300 calories. 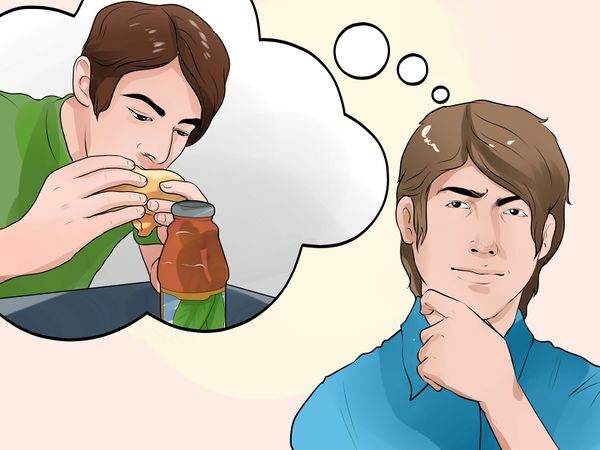 If you have the option, do half of a sandwich instead of a whole sandwich and pair it with a side salad or a piece of fruit. Also ask for whole wheat bread if it's available. If you're ordering a sub, try going for a whole grain bread and ask to make it "lower carb" by scooping out some of the doughy part of the bread. Divide your meal into two or three smaller portions, and bring some of it home to eat the next day. 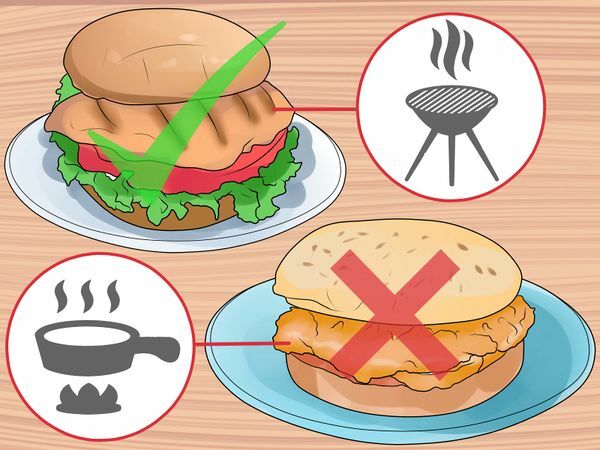 Another easy way to automatically make a fast food meal a bit healthier is choosing grilled or baked items over fried items. Studies have shown that fried foods are not only higher in calories and fat but can also raise your risk of heart disease and type two diabetes if eaten regularly. Choosing a grilled option can save you 100-200 calories per sandwich. Instead of the fried chicken sandwich, opt for the grilled chicken version instead. Fast food restaurants are known for a good breakfast. Plus, many serve breakfast all day long. Choose a better meal to start your day off on a good foot. Breakfast sandwiches and wraps should be simple. 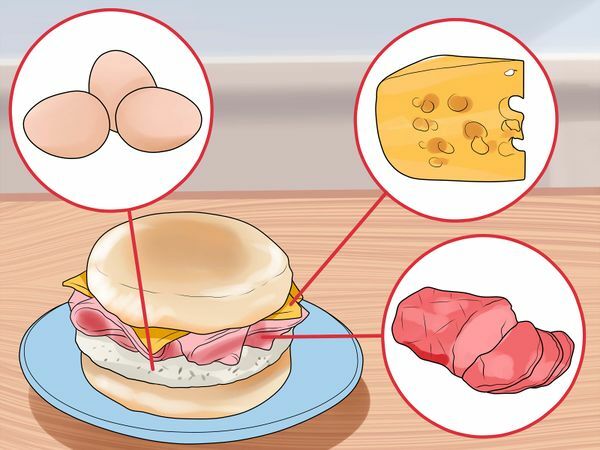 Stick with an egg, cheese and a lean protein like ham or Canadian bacon. Or choose a sandwich with egg whites only. Try to avoid sandwiches on croissants, bagels or made with sausage or bacon. Another great breakfast option now available is oatmeal. Watch out for the added brown sugar, but a few nuts or dried fruit is OK. If you're interested in something cold, try fruit and yogurt parfaits. These offer a little protein and fiber and are a great breakfast option. Fast food restaurants now offer a whole host of beverages to go with your meal - anything from sodas, to coffees and even smoothies. However, some of these drinks are quite high in calories and can put you over your limit. Drinking sugary drinks is associated with many chronic disease, such as type two diabetes and heart disease. Stay away from regular sodas, sweetened juice drinks, sweetened teas, sweetened coffee drinks, smoothies, milkshakes or chocolate milk. 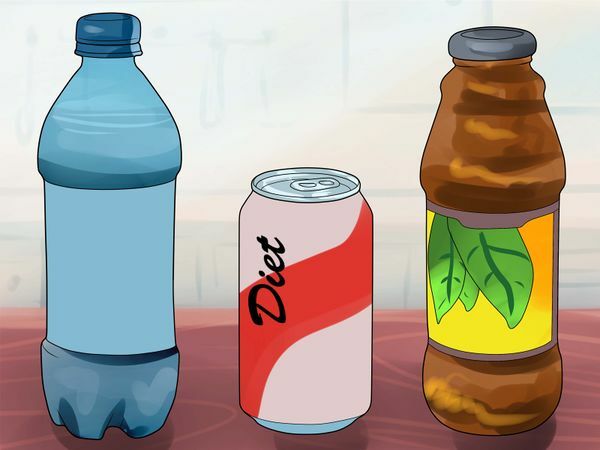 Instead of these types of higher calorie beverages, go with low or no calorie beverages. Water is always a great choice, but you can also try diet sodas, unsweetened tea, unsweetened iced coffee or diet lemonades. Some of these may have some artificial sweeteners but they are low or no calorie. Drinking artificially sweetened drinks will satisfy your sweet craving, but it will not help to reduce it. In order to reduce your craving for sweet beverages, choose unsweetened options, such as coffee and tea, sweeten them yourself, and gradually reduce the amount of sweetener. Many times fast food meals, especially the main entree, can get high in calories with all the tasty toppings that are added. More simple or plain items are usually lower in calories. 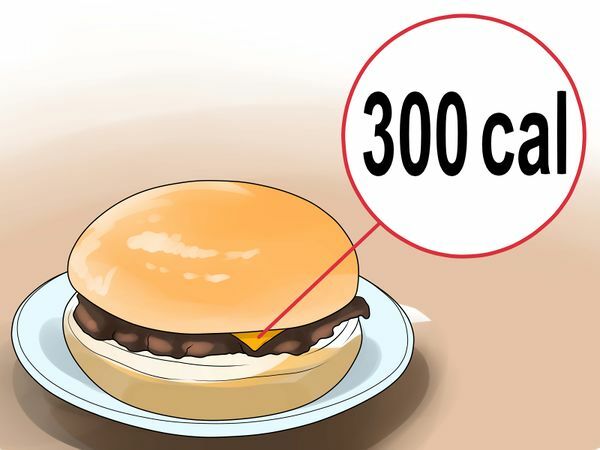 For example, a plain fast food single patty cheeseburger has about 300 calories. A bacon club cheeseburger has about 700 calories. Customize your meal as needed. If you see an item you want to order and notice it has a lot of extra toppings or condiments, ask for these to be served on the side or not at all. Skip the higher fat condiments like mayonnaise, honey mustard, BBQ sauce and "special" sauces. Instead go for yellow mustard, hot sauce, salsa, horseradish and vinegar for a much lower calorie topping. It's so familiar to hear a fast food restaurant ask customers "what side would you like with that?" Even if you choose a healthier entree, the sides at fast food restaurants can be quite unhealthy. The first thing to do is order a small. This is especially true if you're ordering a fried item or other sides that are higher in calories. 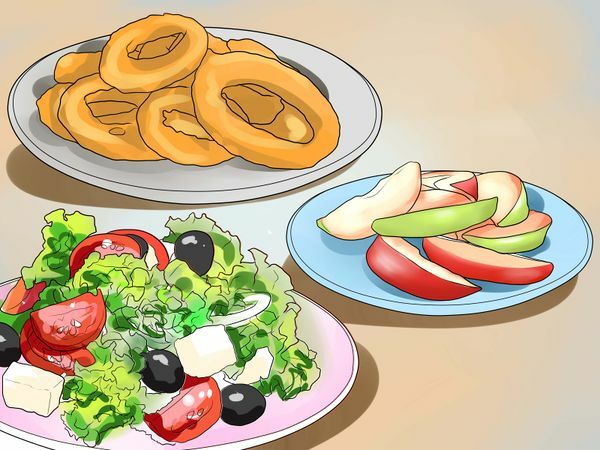 Choosing a small order of fries or onion rings can save you a few hundred calories. Many restaurants are now offering fruit as a side. If you have the option opt for the apple slices, banana or small fruit cup. You may also want to consider getting a side salad. This can help you fill up on low calorie vegetables. Just stick to low-fat dressing on the side. If you're willing to order a different side, go for something that's low in calories and not fried. For example, choose a baked potato over fries. Be moderate with the butter and sour cream. However, this baked version is lower in calories and fat compared to the fries. If you're craving something sweet after your meal, be careful to choose a dessert that's not overly high in calories or fat. Go for mini or individual desserts. Items like cake pops, mini parfaits or mini cookies are a great way to enjoy a pre-portioned sweet treat. Also choose smalls. Whether it's a small soft serve or milk shake, a small will always have the least amount of calories. If ordering ice cream, go for a cup instead of a cone and leave off the hot fudge or caramel. A few rainbow sprinkles is a better lower calorie choice. Bring your own dessert from home. You could bring a sweet piece of fruit, a low calorie cookie pack, or some fruit snacks. 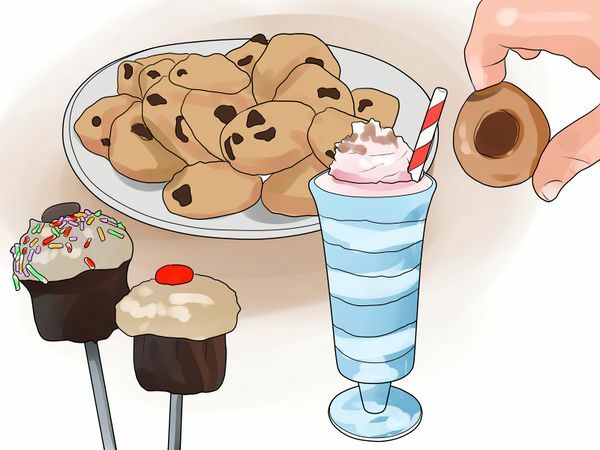 Planning desserts could reduce the calories of your meal and also save you money. 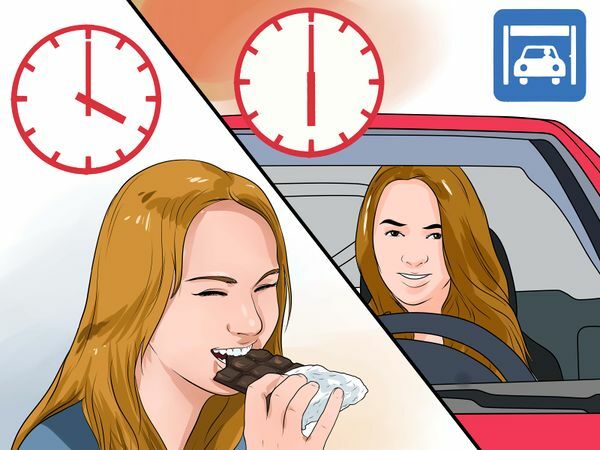 If you know you're planning on getting fast food during the day, it's important to make sure you manage your hunger appropriately so you don't overdo it at the drive through. If you skip meals or snacks or go into a meal too hungry, you're more likely to overeat and make poorer food choices. This is dangerous if you know you're going to a fast food restaurant. If you need it, have a snack about 2 hours prior to hitting the drive through. Keep it simple and small - just enough to prevent you from becoming overly hungry. A piece of fruit, a small yogurt, a hard boiled egg or a protein bar are great options. Avoid trying to skip meals, snacks or under-eating to help save up calories for a higher calorie fast food meal. Pack meals and snacks at home. These will help to curb your hunger and reduce your urge to pick something up to eat from a fast food restaurant. 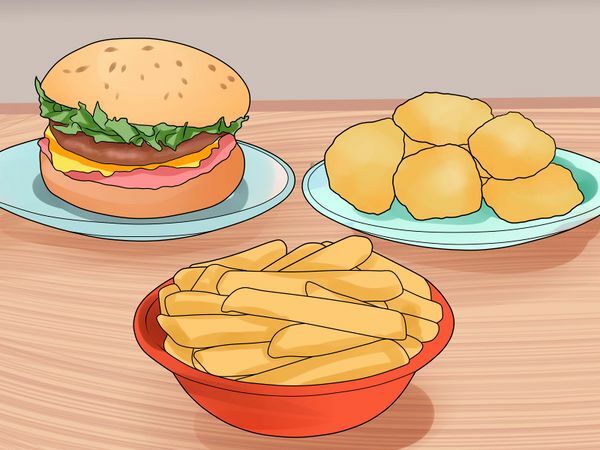 To make sure you keep your fast food consumption in check, make sure you intentionally choose when and how often you're eating fast food meals. If you're not planning for fast food, you're probably more likely to stop by on a whim or when you're overly hungry. Instead, plan to have fast food occasionally. When you plan for it, you're preparing yourself in advance which may help you make healthier choices at the restaurant. Also, take a look at the menu you before you go. Review what you might be interested in and what options are the healthiest. Most fast food restaurants now offer their menus and nutritional information online. You may also want to compare a few places to see what restaurant will you offer you the healthiest and most enjoyable meal. Sometimes you might find yourself stopping for fast food meal on an overly busy day or evening. Even if it's not something you planned on doing, you can still make the rest of your day healthy. Don't feel that one "slip-up" or one not so healthy meal ruins your entire day. You still have multiple food choices during the day to pick something nutritious for your body. If you were late for work and stopped by the drive through for breakfast, don't worry. 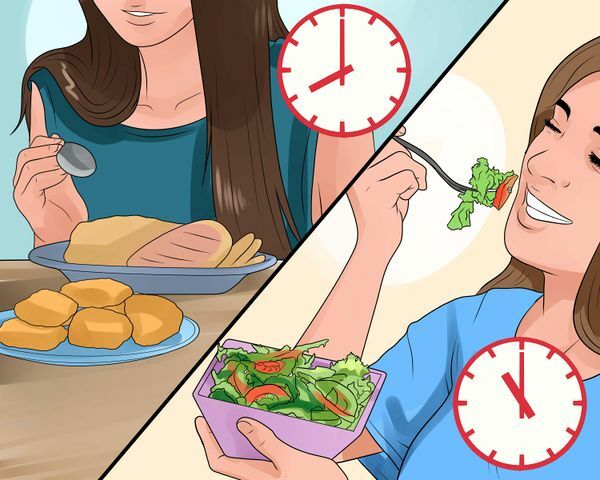 Make a healthy choice at lunch, your afternoon snack and dinner. Another way to keep yourself on track with a healthy lifestyle is by sticking with your workout plan. Aim for about 2 1/2 hours of moderate-intensity cardio activities each week. Activities like walking, jogging, swimming or dancing are great to add to your lifestyle to help maintain weight (even after the occasional fast food meal). 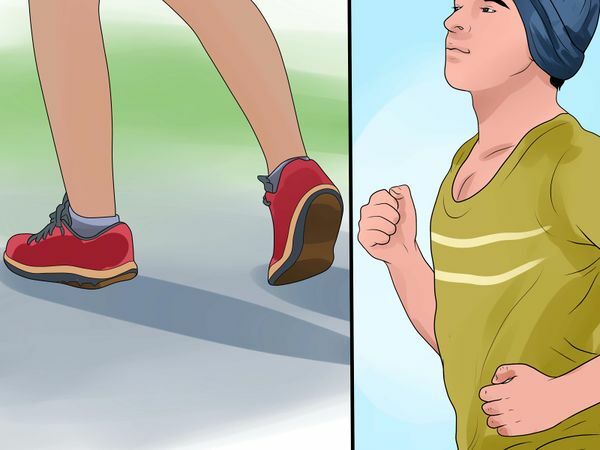 If you ended up going to a fast food restaurant or weren't able to eat as healthy as you wanted to, do something positive by going for a walk or staying a the gym a little longer than normal. Although you generally cannot "work off" an entire fast food meal at the gym, doing something healthy and positive for yourself is a good habit to continue to practice. If you find yourself craving fast food frequently or really enjoy specific fast food meals, try making your favorites at home. 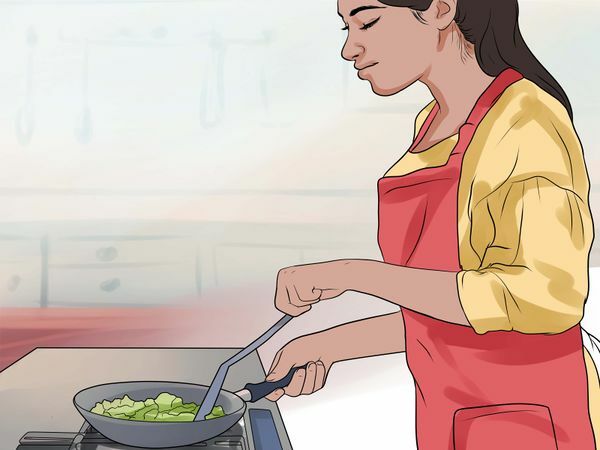 Studies have shown that if you cook most of your meals at home, you actually consume less calories overall. This is because you can control what ingredients you use and how much you eat of certain foods. Think about your favorite fast food meals and see if you can recreate them at home with less calories and fat. Consider researching recipes online or looking for cookbooks that have more nutritious versions of these foods. For example, instead of chicken nuggets from a restaurant, consider making baked chicken nuggets at home. Or if you love burgers, consider making turkey burgers at home on a whole wheat bun.